What Kind of PC Do I Really Need??? Most people are light users of their computers, and do not need the latest or most expensive equipment a vendor has for sale. Dell or HP or others make expensive machines sound exciting, of course, but really, for web surfing, word processing, home accounting, light game playing and the like, a basic system for well under $1000 including a 3 year warranty is possible. In fact, such a system, powerful enough to keep up with the ever-increasing demands that the web and applications will place on it over the next 4 or more years, very well configured, can be had for between $600 and $800 delivered including tax. You may pay a little more if you need a new monitor, too. Oh yes, you can buy really cheap systems for $300 or so but they are compromised in power and longevity, and will make most users unhappy fairly quickly. My last article mentioned that manufacturer coupons are a good way to get a fairly large discount on the price of a major maker's PCs -- 20 or 30% in some cases, and you should always search (google) for, say, Dell Desktop Discount Coupons, or HP, or Lenovo, or whatever. But once you've done that, what are you looking for? For the desktop system, as an all-purpose PC, you are looking for a mid or mini tower AMD Quad Processor System with at least 4 GB of RAM, preferably 8 GB, and at least a 320 GB Hard Disk. AMD processors are good, and reliable, and drop as much as $500 from the cost of a comparable Intel Processor based system, and AMD CPUs are offered in valued-based systems that allow you to configure your machine without a lot of the expensive stuff you do not need. Dell has a nice one, the 546, technically the Inspiron 546, which at the moment is being discounted with a Dell 20% coupon. Even better. Take a look at Cheap Stingy Bargains for the coupon code, and a lot of other nice discounts as well, and the appropriate Dell web page for this offer. 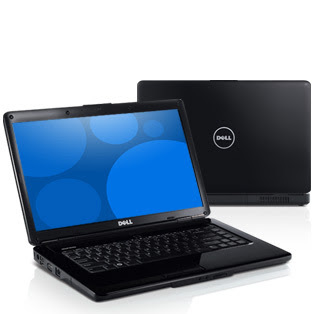 Click on the Inspiron 546 offer and you will be taken to that Dell landing page. From there you have a choice of 4 systems, including the 546. With the coupon I can configure a Quad Core system with a 500 GB drive, 4 GB memory, McAffee 15 mo Anti-Virus, Windows 7 Home Premium 64 bit, and a 20" HD Monitor, 3 yr In Home Service Warranty, and at the moment, Free Delivery, for $804. You can configure what you want. Also included are all the standard items, such as a DVD/CD Burner, Keyboard, Mouse, etc. You still have to pay State Sales Tax. You get a system that will last for a long time, and one that has enough CPU horsepower, memory, and a large enough disk, to be a pleasure to use for 4 or more years. Just search for "HP (or Dell, or whatever) desktop (or laptop) coupon." You can get a great PC for a lot less than you might think, and you won't leave any money on the table. How to Buy a PC as Cheaply as Possible -- Coupons! Do you know how to buy a PC? What optional equipment, processor, memory, hard disk to order? How much you should pay and ... how to get the cheapest possible price? Did you know that you can spend from $200 to $500 or $600 too much for same machine just by ordering from the wrong web page on the Dell or HP website, or not being aware that Dell and HP (and others) issue discount coupons for up to 30% of the price of a given system? It's true. I am going to give some examples of specific systems and coupons which may have changes by the time you read this, but the principle will remain the same. Go to well known websites, some of which I will list, and search for (google for), for example, "Dell laptop coupons". You will then be presented with choices of coupons issued by Dell discounting that particular laptop. So on http://www.techbargains.com/ I am presented with several choices including a Dell Latitude 15 coupon for 20% off particular desktops and laptops on a specific Dell web page. Has to be that page. Has to be that machine. I configured the machine I wanted for $1228.00, entered the coupon code, and received $245.60 off the price of that laptop. !!! Hey, that's good stuff. I do think it's sneaky of the manufacturers to have these "ghost" discounts, but if they are going to have them, I want to know! Now, these coupons are quite time limited, and when they are gone, they're gone. However, similar discounts come back. Just wait a week! This summer I helped different people purchase an HDX18t laptop at different times during a coupon discount period and we got as much as $550 off the price of these systems, bringing close to $1500 laptops to under $1000. Between the times these laptops were discounted, anyone who bought them paid, yes, ... $1500. 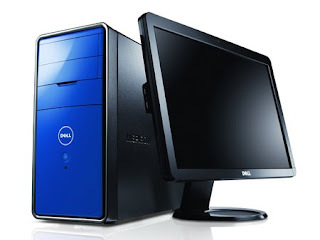 At http://www.cheapstingybargains.com/cheapster/dell/ I found a 20% off Dell 546 coupon and configured a system for $935, entered the associated coupon code, and got $187 off for a gorgeous Quad Core Processor system, a discount that most people did not know about. Next time I'll talk about what kind of system you should buy for your coupon discounted money! The Working Computers Blog is a creation of Ted Whittemore and Kinnelon Computers in Kinnelon, NJ, which specializes in Home and Small Business Computer Repair, including virus removal, backup, setup, software installation and repair, email configuration and repair, additional hardware configuration, and all of the things we talk about in The Working Computers Blog. We are reachable at 973 838 2368 and ted@amgpi.com. I have worked in the computer services industry for 29 years in consulting and planning and in the field.